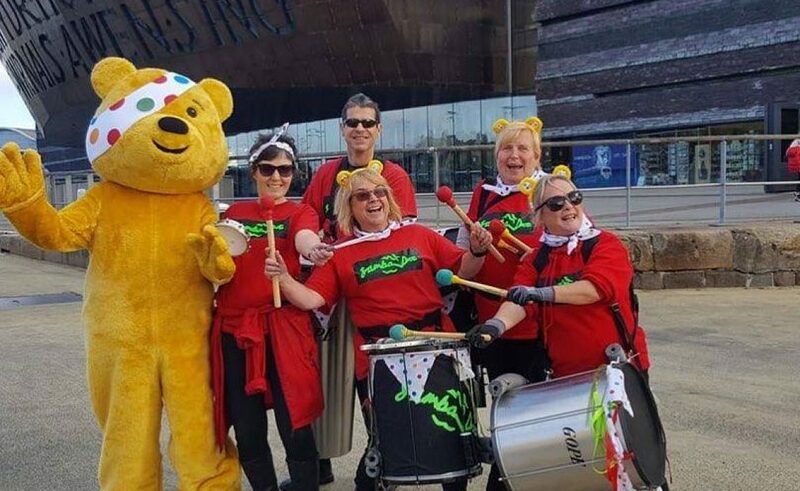 Members of Samba Doc, Pembrokeshire’s community samba band have raised £5580.37 for Children In Need following a non-stop musical Tour of Wales to mark their 10th anniversary. 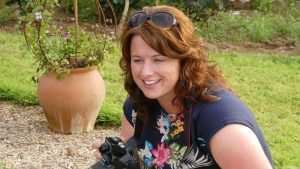 Over the last two years, the band, established in 2008 via a series of samba workshops supported by Communities First Trust Fund has risen to new heights, following the introduction of Amy Delaney as Musical Director and the joint work of a diverse community driven committee. Between themselves, members planned and coordinated a whirlwind three day road trip around Wales beginning on Friday 19th October and finishing on Sunday 21st October outside Tesco in the band’s hometown, Pembroke Dock. Transport was kindly donated by Evans Coaches, Milford Haven and kindly driven by Samba Doc member, Sue. Samba Doc joined live performances with 12 samba bands in one weekend performing to communities in Aberyswyth, Bangor, Barmouth, Hay on Wye, Brecon, Newport, Cardiff, Cowbridge and Swansea. The BBC’s Pudsey Bear (proudly worn by band member Saskia) also joined to take part in the charity collections. The band’s efforts have been recognised by local Councillors and the BBC, who interviewed them in Cardiff on the live show. Samba Doc have captured the best bits of their Tour of Wales through video montages like the one below. Samba Doc currently has over 50 active members of all ages offering a truly intergenerational musical experience. They practice weekly in St Teilo’s Church Hall, Pembroke Dock. If you’re inspired by Samba Doc and would like to find out more, get in touch via their Facebook page or their website.